Kelowna Sikh gurdwara was vandalized last week – the community has kept a positive attitude. 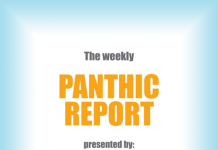 Guru Maneyo Granth Gurdwaras discovers the bandhi chhor event was a huge success and Panthic Report looks into why. Gurbir Singh Grewals podcast with We Are Sikhs where he spoke about Sikhs as public servants, and accountability for those who have positions of power.